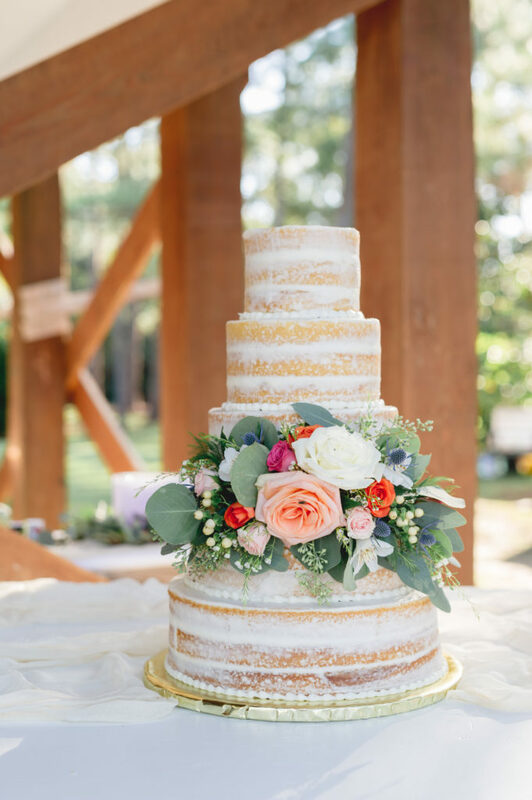 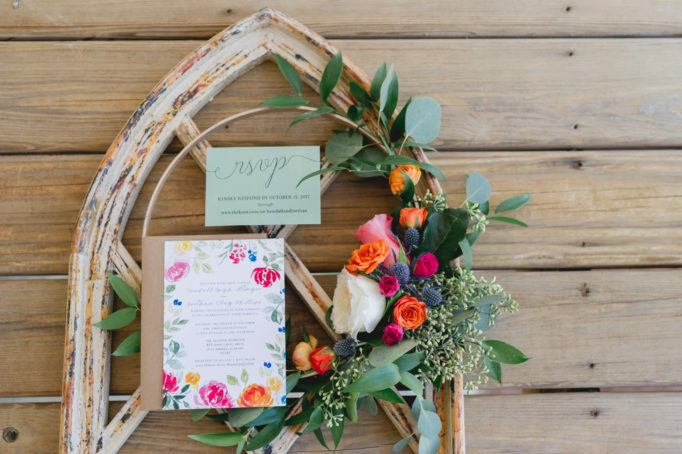 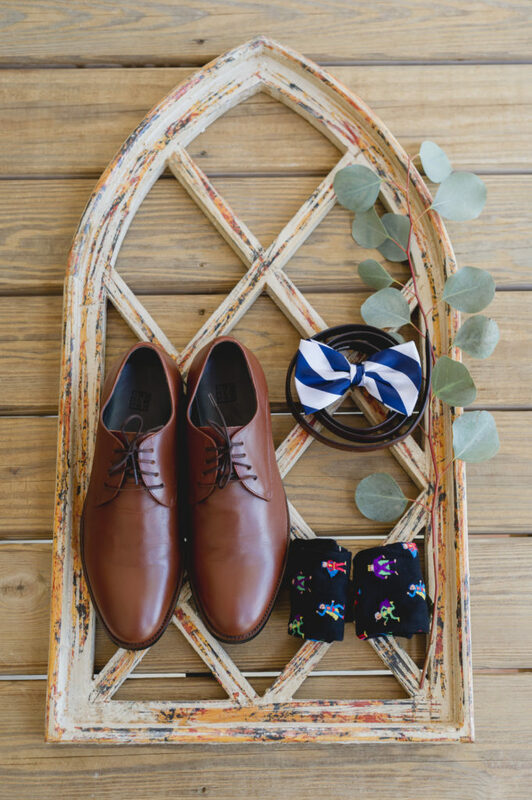 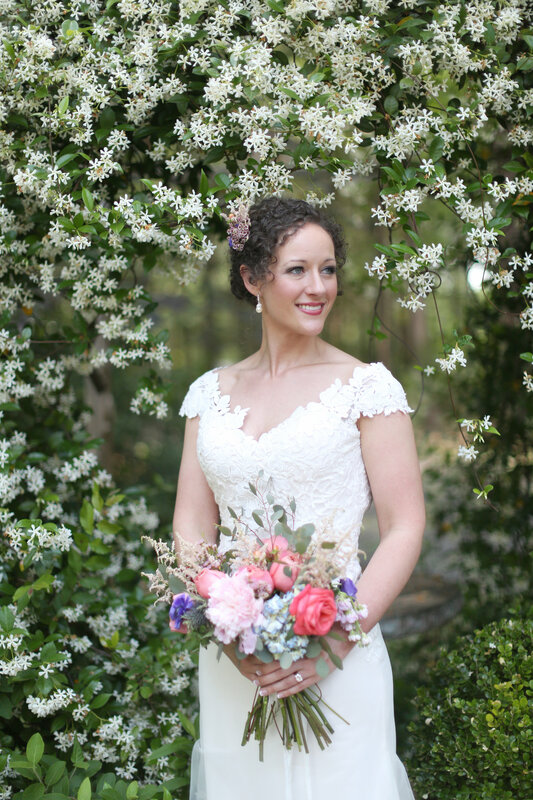 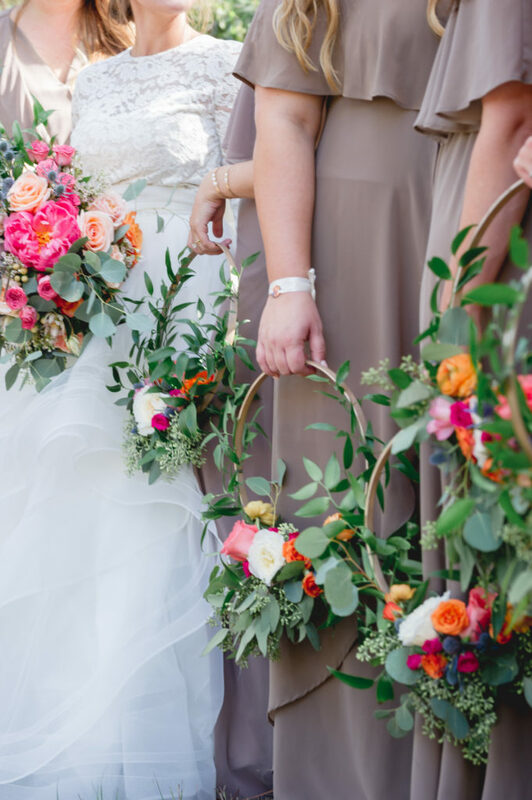 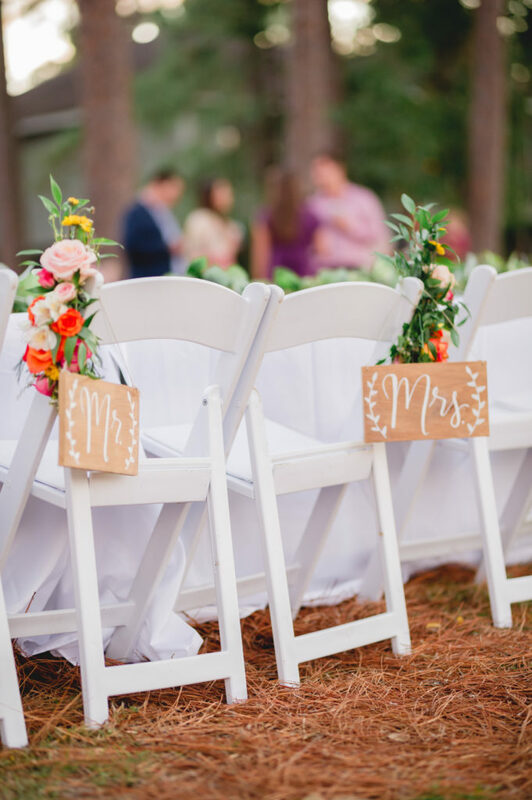 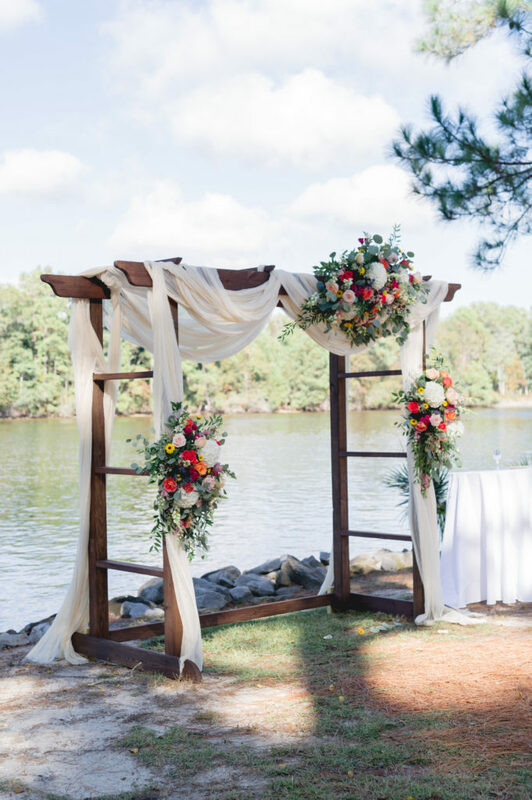 The gorgeous details in this Gulf Shores, Alabama wedding are just bursting with color. 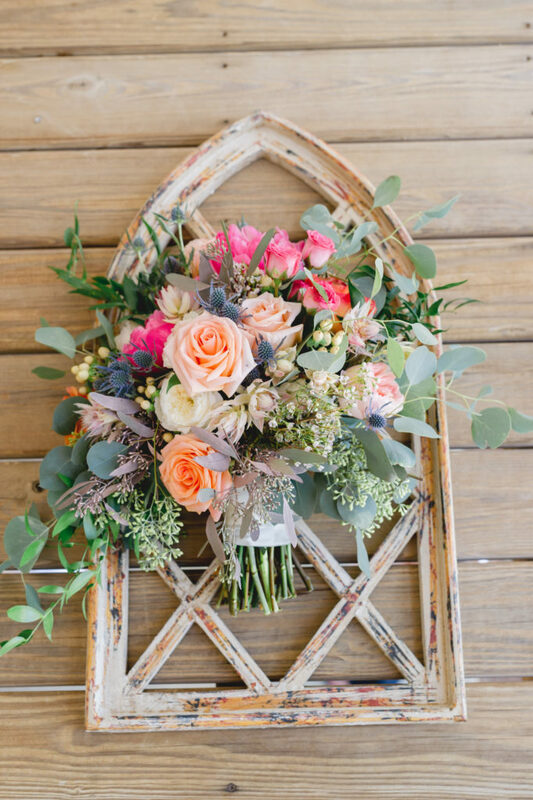 You’d never know that the nuptials of Kendall Altmeyer and Joethan Phillips were held in late fall because designer Chelsea Crawford Events transformed this waterfront event at the bride‘s parents’ home into a summer garden using light and airy styling and cascades of colorful blooms in shades of pink, fuschia, orange, and coral. 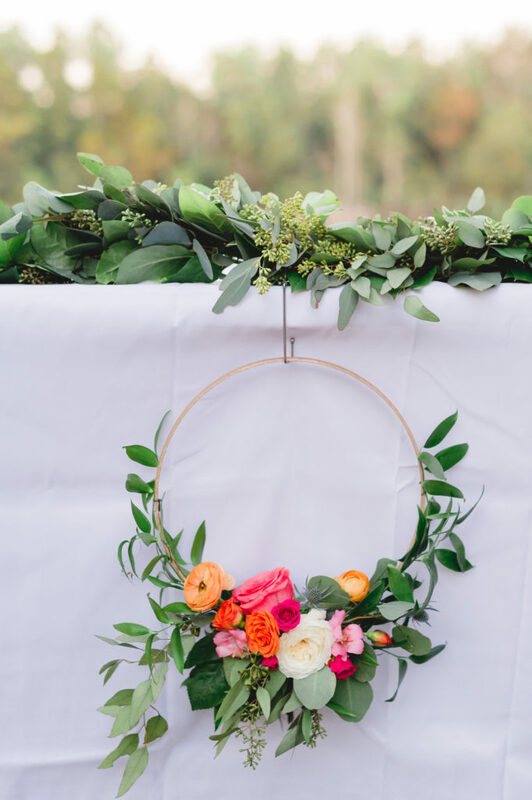 We are over the moon about the bride’s choice of adorable hoop bouquets for her bridesmaids which were hung along the front of the wedding party table for an additional pop of color. 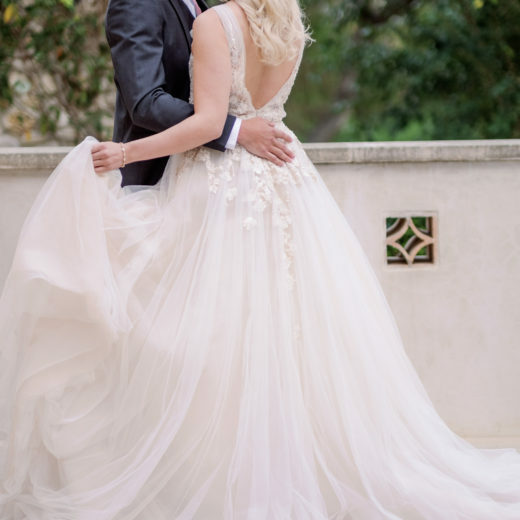 And that dress! 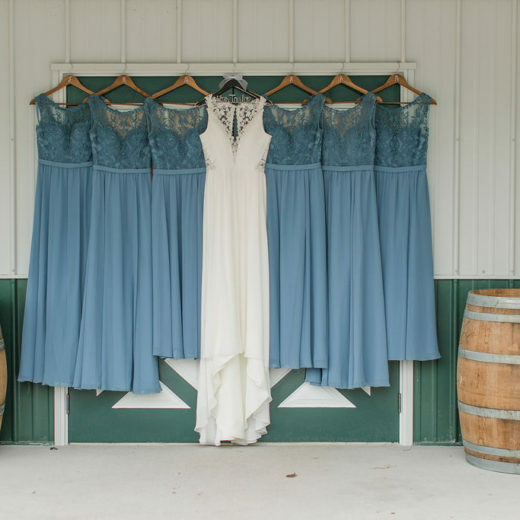 The WToo tiered skirted gown was paired with a modest, 3/4 sleeve lace crop top and accented with an oversized bow in the back. 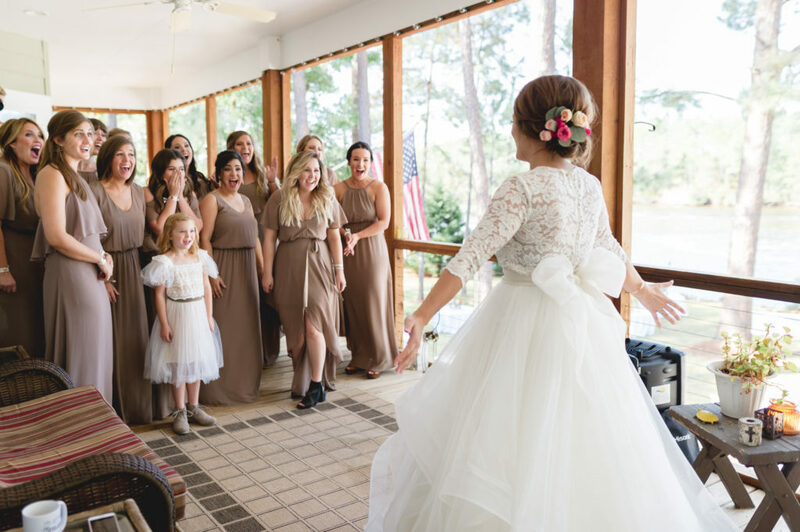 It was flirty and fun, and twirled beautifully. 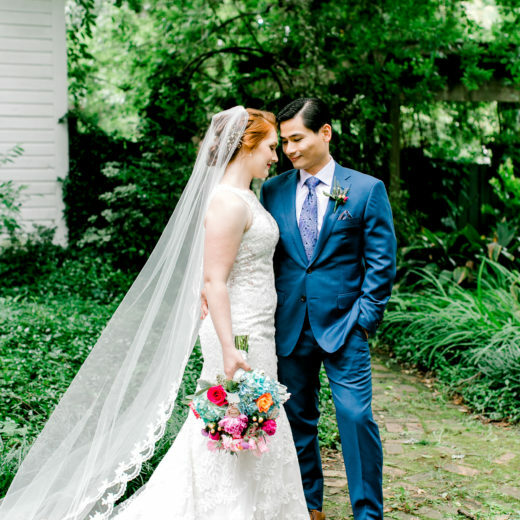 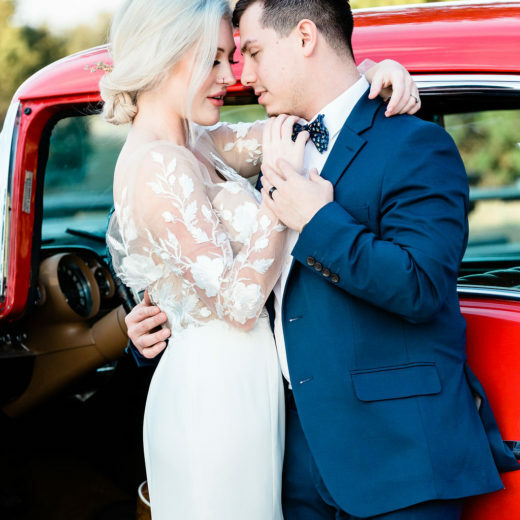 Photographer Avery Forrest captured all the beautiful details and the obvious joy of the two newlyweds. 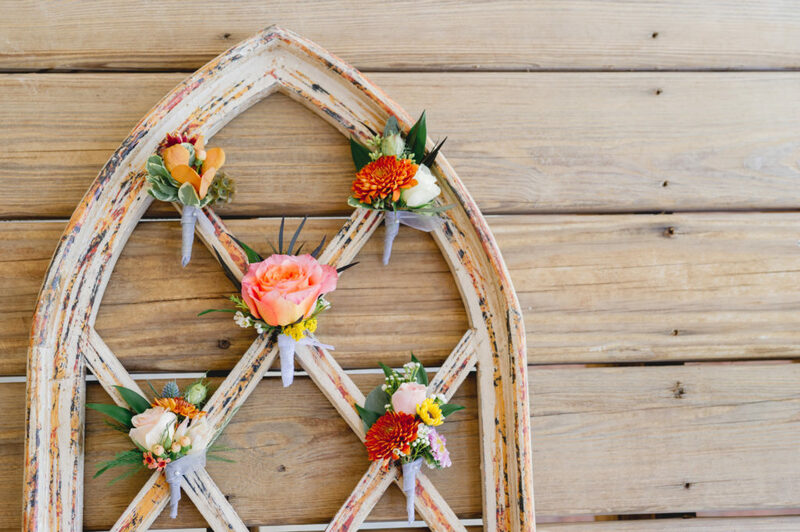 We especially love the choice of utilizing the cathedral window style accent piece to shoot detail pictures. 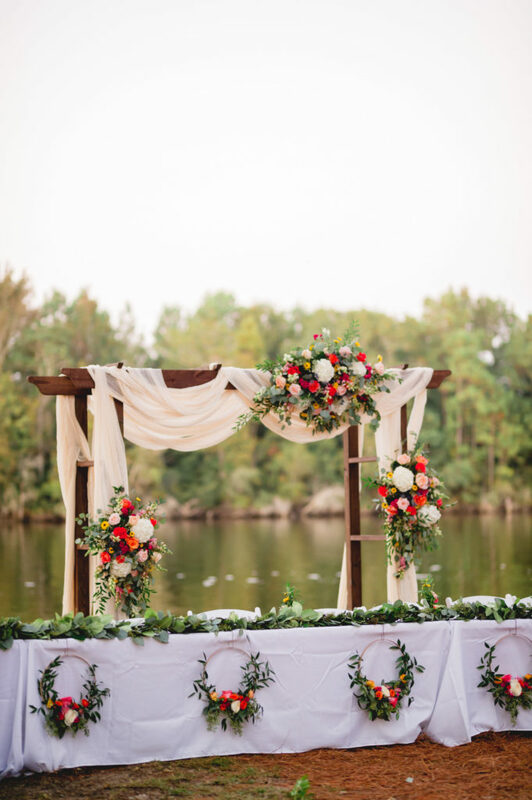 It was the perfect backdrop to unify all those little details in an artful way. 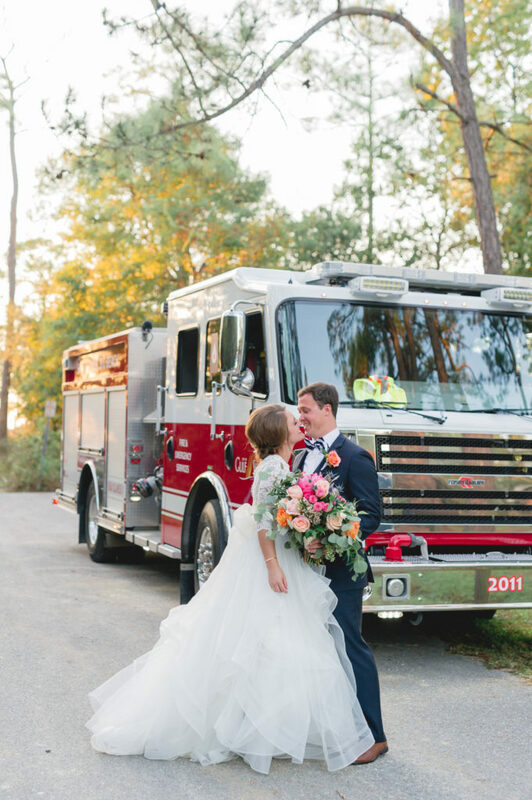 There is so much to inspire in this stunning wedding. 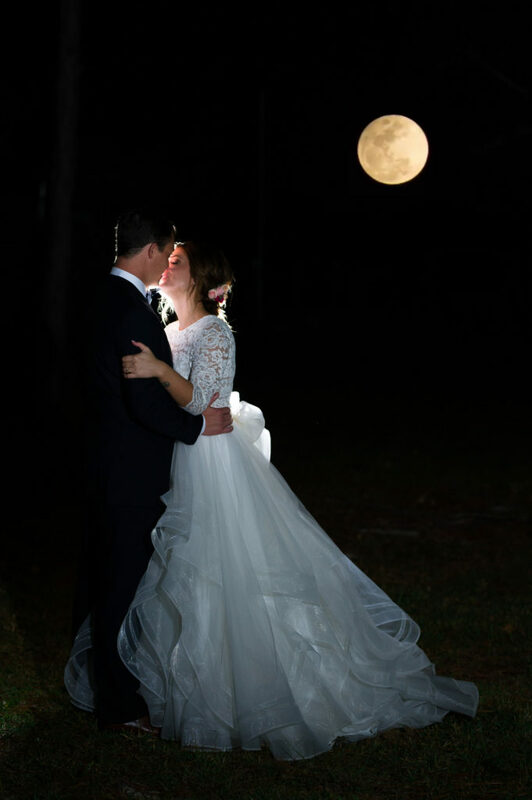 and they were comfortable for all night partying. 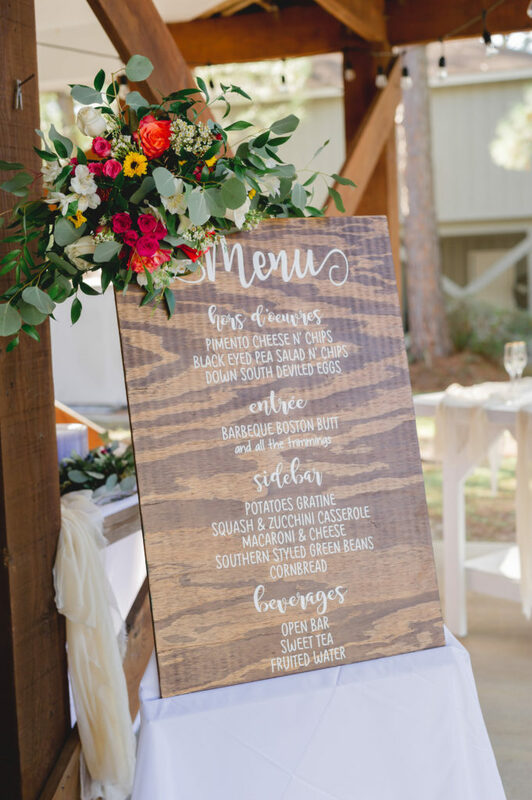 Avery Forrest used this art piece as a unifying element for these special details. 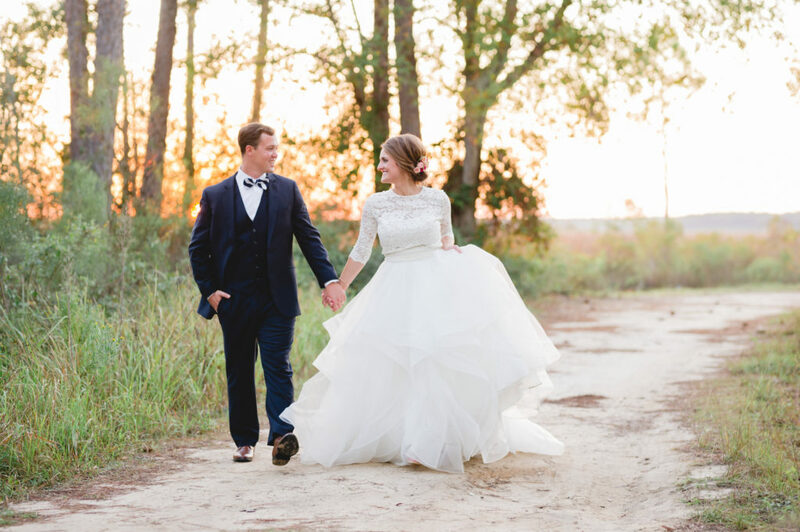 This stunning WToo by Waters gown was just perfect for twirling. 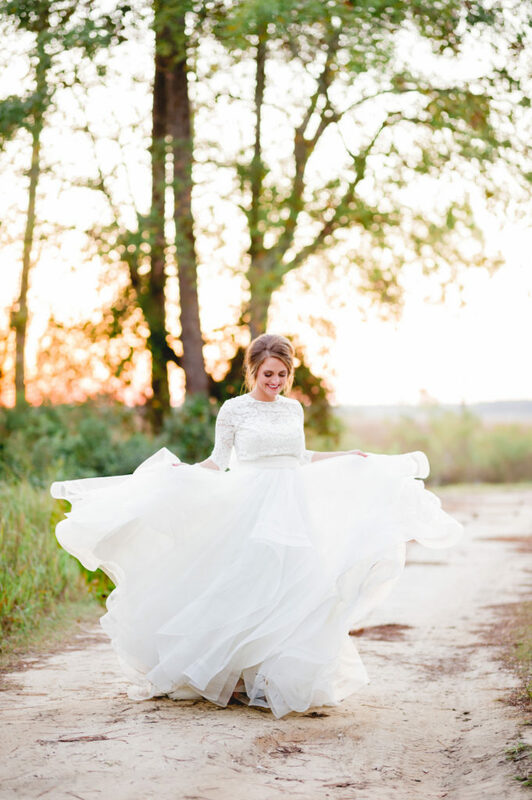 What girl doesn’t love to twirl? 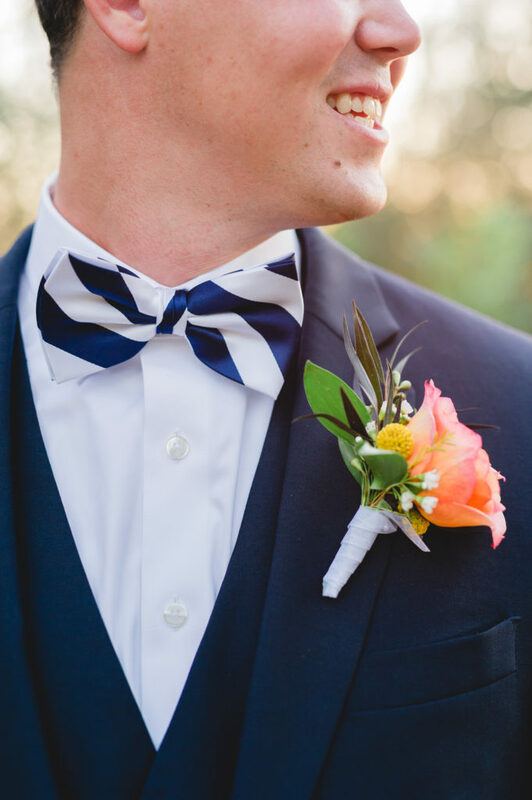 perfect way to add a punch of color to the simple white linen.